You’re here for a reason. You’re a fan of TRS Radio, know someone on the team, missed out last year, or just stumbled here like a bum onto the beach. Either way, we are glad you are here to make triathlon great again. These are desperate times and triathlon really needs to learn how to win again. TRS Triathlon can make that happen with your help. We will build a wall to keep cross-fitters out of our sport. We will also build the greatest international triathlon team in the history of triathlon. We seek to foster the best damn team community in the sport. We race hard and party harder, and most of all we don’t seek to follow the bread crumb trail laid out by other teams. If you are looking for a grocery list of sponsors to plaster all over your body, please leave. The purpose here is not to make you feel “so pro”. Do you have to be funny? Do you have to be fast? Do you have to have to look like an Abercombie model? No, no, and hell no. 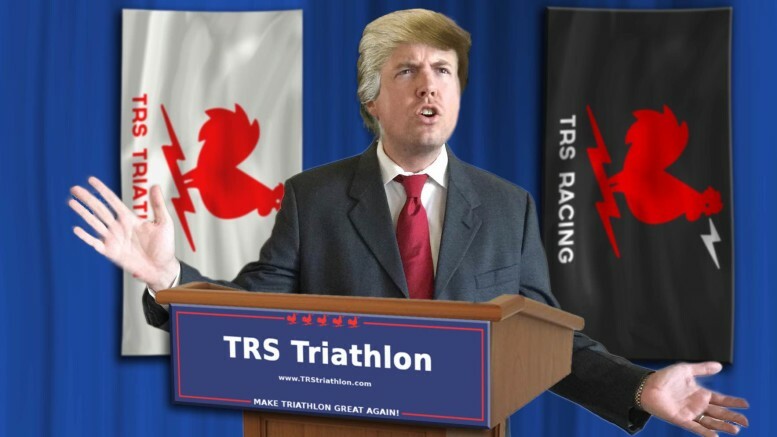 We are looking for all types of triathletes with one thing in common: the desire to help support TRS Triathlon as we make triathlon great again. Fill out the TRS Racing Application below. Join the TRS Triathlon Forum (if you haven’t already….) and jump in with two feet. Most of all, get our attention. This can come in any form you choose, just make it good. We like to be entertained.